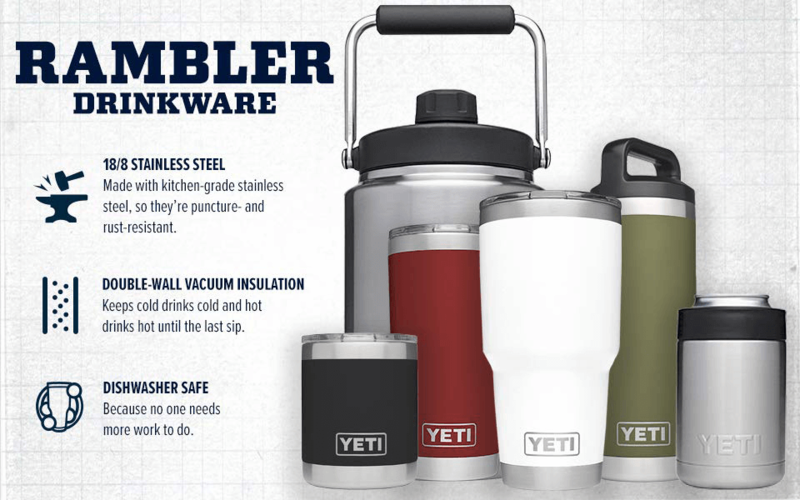 Custom YETI Coolers with engraved or imprinted logos - Looking for an excellent reusable promotional item to give away at your next trade show convention? Custom Coolers from YETIS with your logo on them will not only make you a hit, they get reused over and over allowing your brand to gain maximum exposure. Read more about Custom YETI Coolers below.